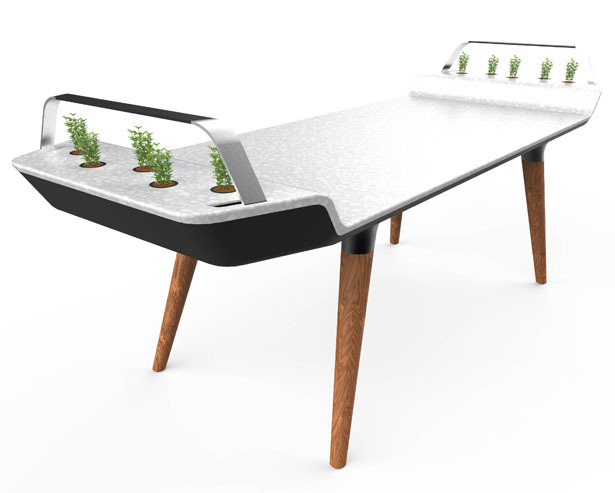 A special dining table where you can eat your meal on it while growing them as well. 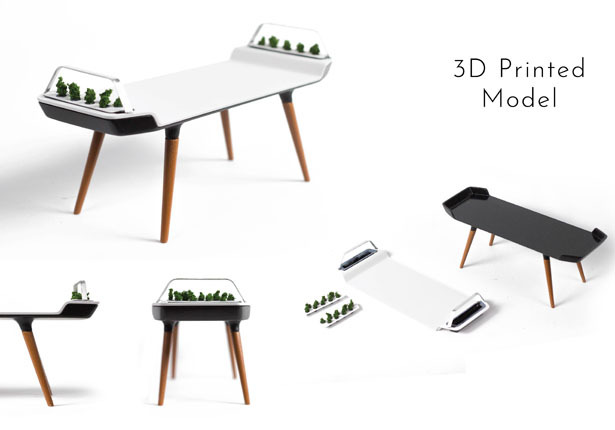 Avia is a concept dining table where at both end of the table, there are small hydroponic gardens that you can use to grow herbs and salads. 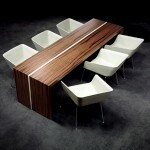 This table encourages you to have a healthy diet, you are reminded to use fresh ingredients at every email. 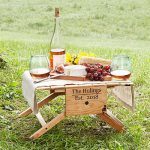 These little gardens also support family meals with simplicity while allowing parents and children to garden, giving them another reason to come to dinner. 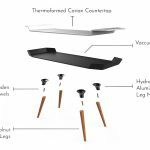 The brief for this project was to create a kitchen product that would enhance family meals, which are currently in decline. 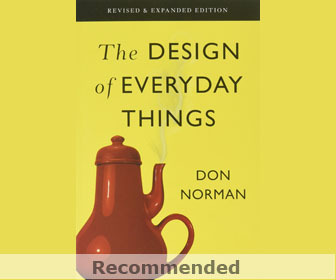 Family meals are one of the few times the entire family meets and connects but are pushed aside by electronic devices and increasing workloads. 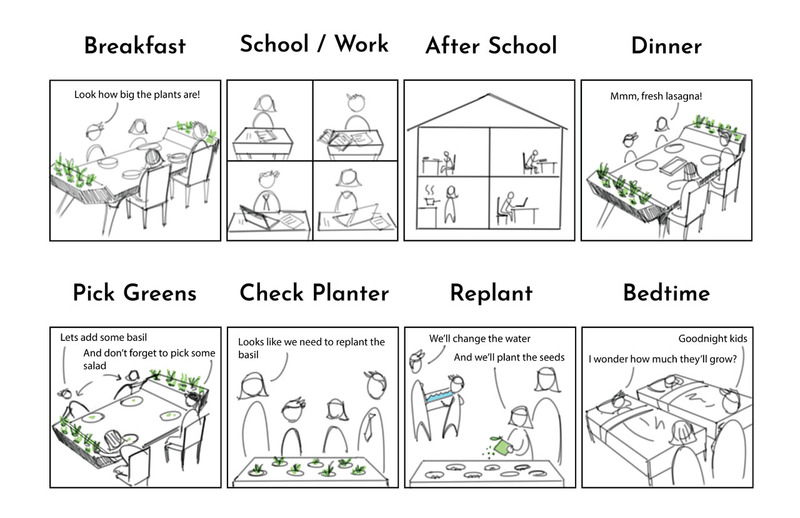 This project wants to create a solution that would subtly revitalize the family meal. 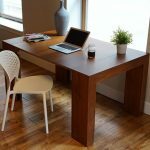 Home planters already exist, but by combining directly into the dining table, it becomes a central touch point for both children and adults. We all love seeing food grow and eating it. The prominent location of the planter encourages continued use, and the greenery enhances the dining atmosphere. Gavin Rea designed Avia to streamline the planting process as much as possible, as most families don’t have time for a complicated chore in their already busy week. 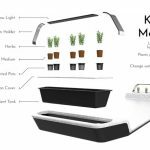 The hydroponic system means that the planters do not have to be watered regularly; the nutrient solution only has to be changed at the beginning of the planting period and has the added benefit of faster grow cycles. 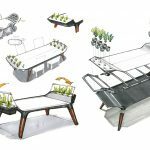 The nutrient reservoir is easy to remove from the table and clean if algae growth occurs, and the individual pots can also be changed for replacing or replanting. 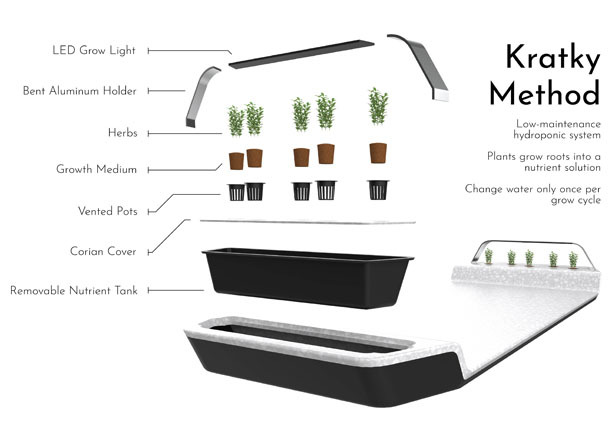 The grow light is also stylishly incorporated into the table and uses automated lighting cycles. There is also the delight that comes from watching a plant grow from a tiny seedling to a full plant, and then the pride that comes from eating your own food, not to mention freshness and nutrition. 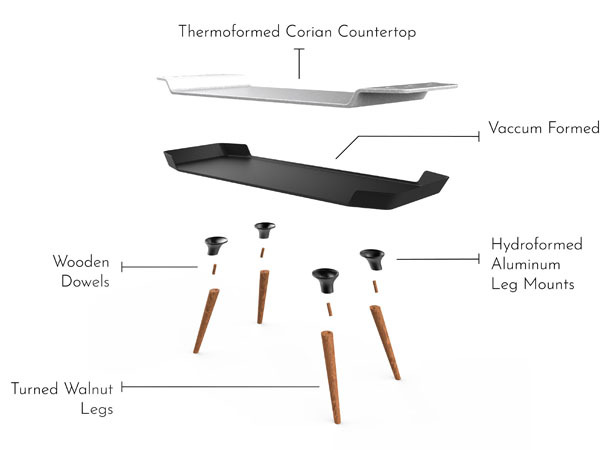 Avia uses a simple construction with wooden legs that screw into a thermoformed base. 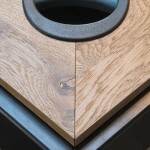 The tabletop can either be thermoformed Corian or laminated plywood. 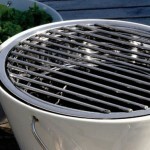 The product has a clean, premium aesthetic that can be sold at a high price point. 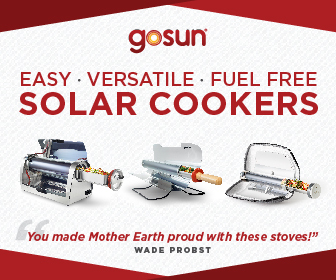 The combined values of family, health and fresh food make this a product with wide consumer appeal. 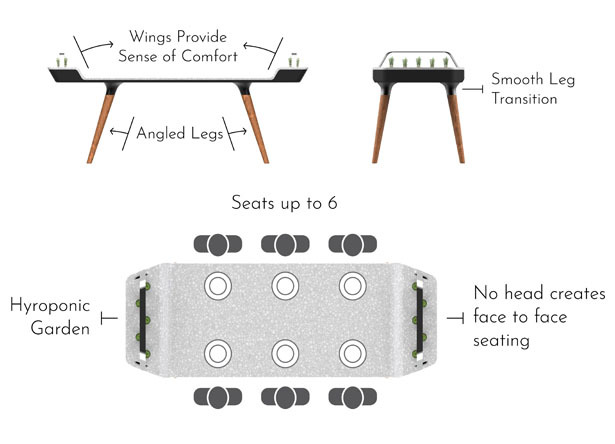 Avia is designed to bring families back together around the dinner table and help them foster meaningful relationships with each other. For parents, family meals relieve stress and help them connect with their children, who in turn are on average happier and have better academics. 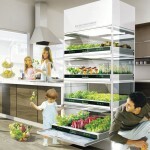 Fresh food is healthier, tastes better and will never go bad in the fridge. There is pride in knowing where your food came from, and even more when you grow your own. It is also more environmentally sound, free from the pesticides and unsustainable practices of factory farms. 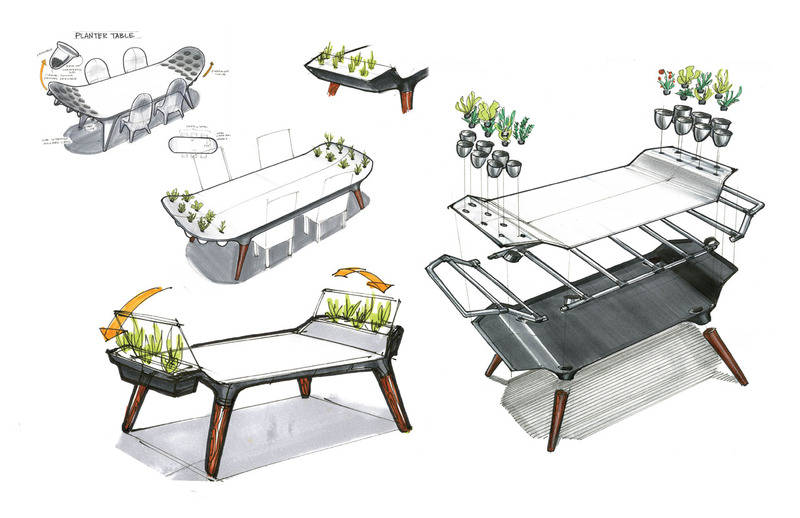 Tuvie has received “AVIA Dining Table With Small Hydroponic Gardens” project from our ‘Submit A Design‘ feature, where we welcome our readers to submit their design/concept for publication. 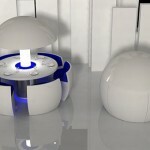 This entry was posted in Designs and Concepts, Food and Drink, Furniture, Interior Design. 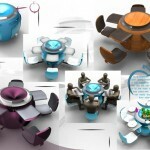 Tagged as dining table with hydroponic gardens, elegant pool table design, table with small planters. 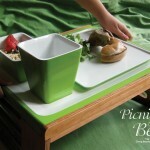 Picnic in Bed Tray Table Set : Breakfast in Bed Everyone?